(The Bieh Telegraph) —The office of SPLM in opposition’ Chairman Riek Machar Teny Dhurgon (PhD) has dismissed the appointment of Angelina Teny as the movement acting chairman. In statement extended to Bieh Telegraph, the Press Secretary of Riek Machar Comrade Lam Kuei Lam said the movement has not made and changes and any letter sighting the replacement of the chairman is a wistful thinking from the government agencies. 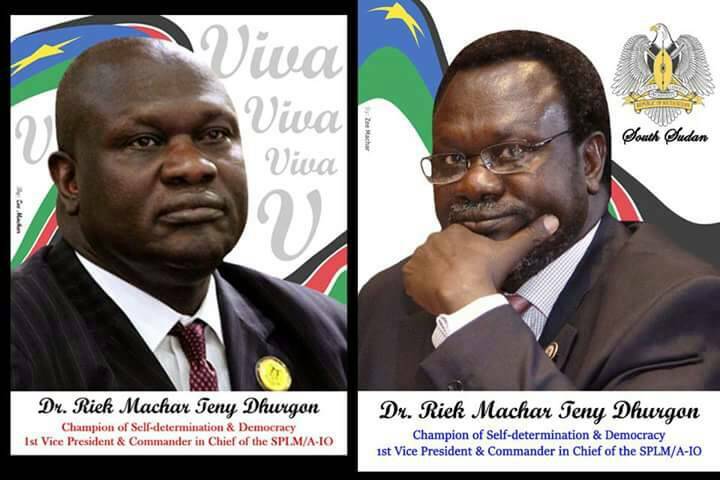 “This is to inform our SPLM/SPLA IO members , supporters and the entire South Sudanese , that the document being circulated on the social media alleging fake appointment of Cde madam , Angelina Jany Teny , as the deputy Chairman of the people,s movement ( IO) under the leadership of Dr. Riek Machar Teny that the document is fake and untrue” Said Lam Kuei. The new Mouthpiece strongly refuted the wild propaganda calling upon their respective members , supporters , and all the South Sudanese not to buy the news saying it’s fake information because it is baseless and the main intention behind it is to cost confusion among their members. Many papers containing the fake signature of Riek Machar had been on the social media for some months since the onset of the conflict and one of the government ambassador to the USA, Gordon Buay Malek has been identified as the person behind the forgery, fabrication and defamation of SPLM-IO leaders.